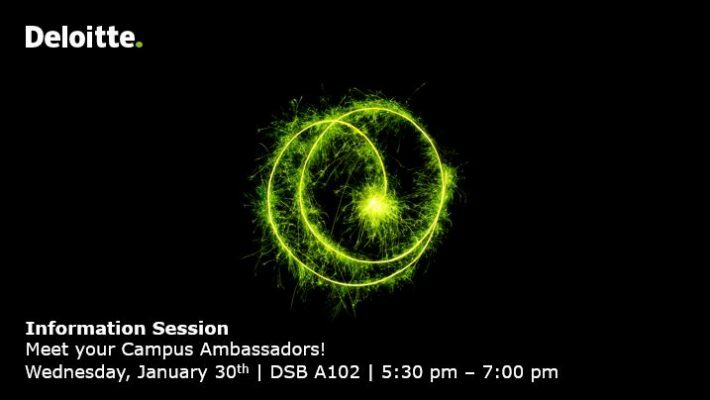 Join your Campus Ambassadors on Wednesday, January 30 for some pizza and a chance to learn more about the leading professional services firm, Deloitte! You will get to hear about Deloitte’s various service lines, upcoming events and how to apply from returning interns and new hires within Audit, Risk Advisory and Tech Consulting. This will be your opportunity to ask questions in a casual setting before recruitment season kicks off so register now! Spring registration for 2IN0 (Last Offerring)!